I first had carrot lemonade a few weeks ago at a new coffee shop in town and was immediately hooked. 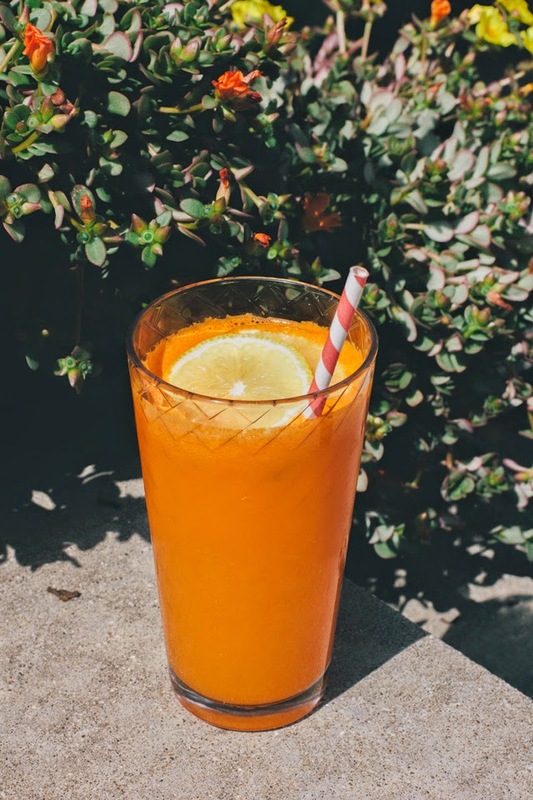 Since $4 a glass is more than I want to spend every time I have a carrot lemonade craving (which is more often than not) I did a little research and experimenting to make my own. Instructions: With a juicer, juice the lemons and carrots. Pour in the juice from the can and save the sliced pineapple (I dehydrated mine). 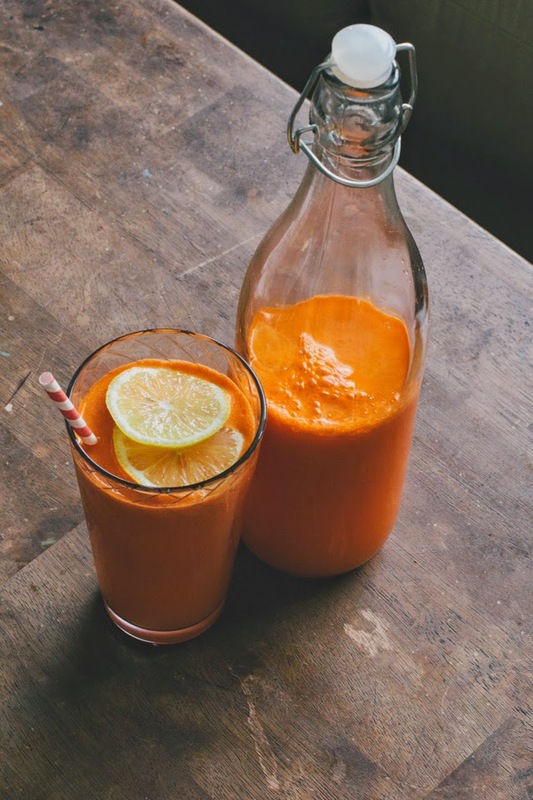 Taste your lemonade to and if it is too tart, add a tbsp of sugar or more carrots. Slice up some lemons, add a straw and enjoy! 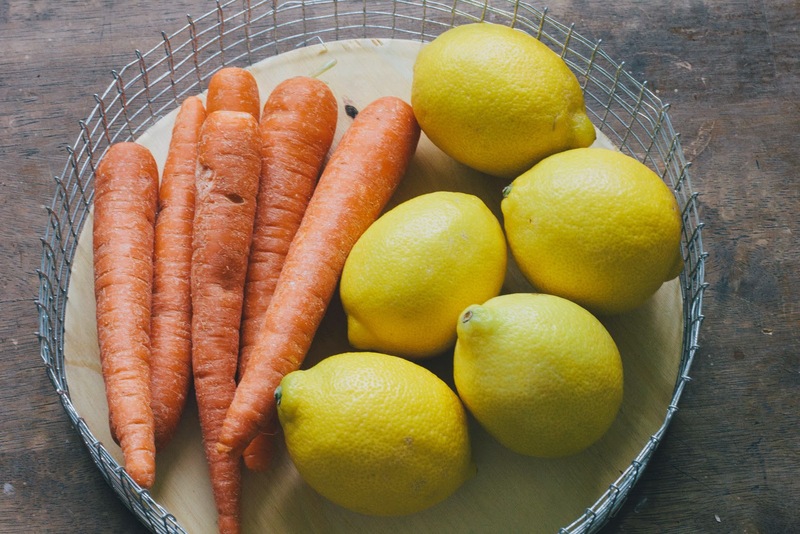 *I found I like the taste of more carrots than too many lemons so try it out a few times to see how you like it! What is your favorite drink this summer? Wow that drink is ORANGE! Like someone melted crayons in a glass (it also sounds delish). 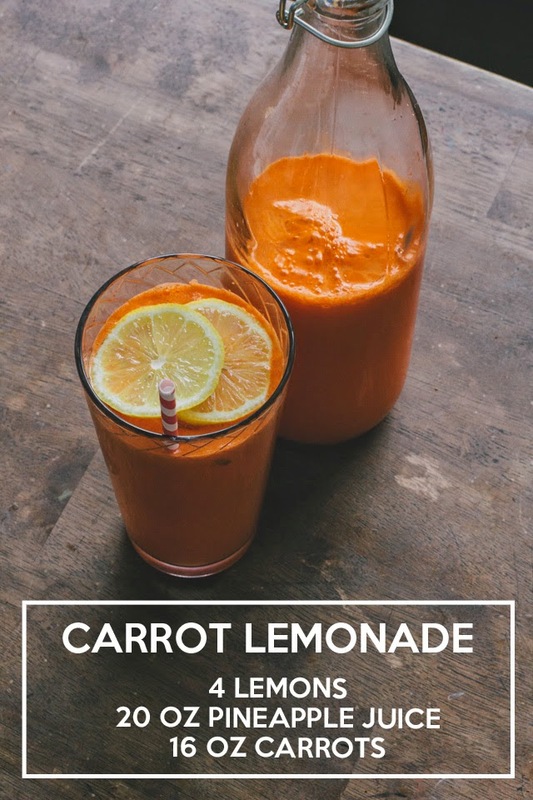 I would never have thought of combining carrots and lemonade... sounds yummy though, I'll have to try it! This is one of my favorite drinks. We make it at home at least 3 times per month or so with some variation. For the most part we only juice the carrots and then mix with lemon juice. We also add oatmeal juice to make it thicker and yummier ��. For those who don't know, oatmeal Juice is made by putting oatmeal in water for maybe 15 to 30 minutes and then blending it and sieving it.